Moose Hunting Supplies, it takes a lot to be prepared for a successful moose hunt. 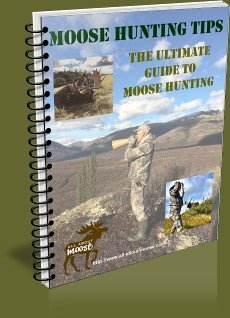 Here is our list of best and most recommended moose gear... for serious hunters! Why for serious hunters? In order to be successful at any task especially moose hunting you had better take it seriously. Make hunting camp life more comfortable. Find your game more easily and efficiently. Handle your big-game meat correctly. For us though, it seems as though we always bring more moose hunting supplies than what we need... Yet we are always adding to our list of moose hunting supplies to bring for the following year. Sometimes I wonder what on earth we are thinking! What comes to your mind when you think about quality moose hunting gear? A good moose hunting rifle and binoculars perhaps? How about footwear? Is footwear just as important to the serious moose hunter as is the type and condition of the hunting knife on his belt? So let's have a good look at what we consider to be the priority items to bring along on a moose hunt, as well we'll take a hard view of some of the knick-knacks that some hunters carry along with them. Of course, if you are going on a fly-in moose hunt you will be limited by weight as to how much you can bring, the Guide – Guide Outfitter should supply you with a list of suggested items. You must bring quality gear... there are no stores or repair shops way out there! 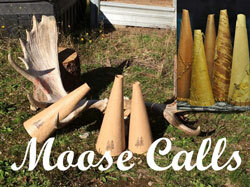 So what type of moose hunting supplies do you need for a successful moose hunt? If you have plans to have a moose camp... tent, trailer or maybe even a remote cabin you need a lot of equipment to make life comfortable. 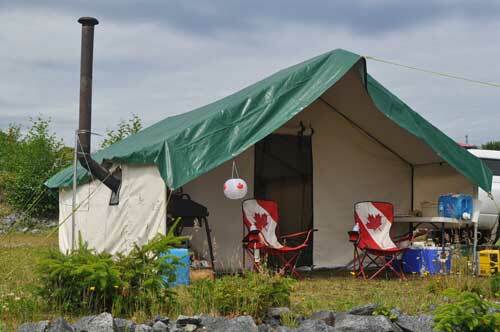 For our moose camp, we have made a dramatic change and purchased a canvas wall tent (wall tent review) and as well this year we have added a Camp Chef camp stove along with a Camp Chef Dutch oven. 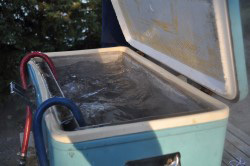 Something else I would consider an essential item to have along at moose camp is some sort of hot water heater, my preference is for a water heater that heats water passively from the campfire. When camping in the wilderness for many days one thing is certain, without a shower or bath... hmmm, smelly people! As a bare minimum aside from your firearm or bow: Knives, binoculars, GPS, warm and dry camouflage clothing, rangefinders to name a few, but there are many more... Scroll down to see the items that are of interest to you. One of the most important items that I can recommend to you is a good quality knife. When I say a good knife, I mean one that will stay sharp for a long time and is strong enough to take some abuse. a Buck Knife for gutting. a Wyoming Knife to aid in gutting and skinning (read the review). All three of these knives from my list of moose hunting supplies are stowed easily in my daypack as I hike about the mountains and meadows looking for moose. A new knife I purchased this season, one you may have heard about already the Havalon Piranta EDGE Hunting & Skinning Knife. It's an awesome blade, super sharp and lightweight. It just may become the only knife I carry into the field. A portable winch can make your day when it comes to getting your moose out of the bush. 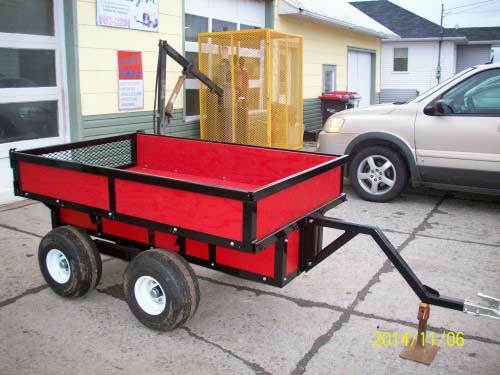 A PCW3000-HK made by the Portable Winch Company is just the ticket. These winches are lightweight and portable. If you are anything like me, getting your moose out in one piece is the most desirable situation to be in. Not only that, moose are heavy. I don't relish the idea of carrying a moose (even in pieces) for any distance. Read our full length article. Want to see what I mean? Watch one in action! When it comes to binoculars and spotting scopes, always purchase the best you can afford. If you plan to spend a lot of time looking through optics; then buy with quality in mind. Obviously we cannot all afford to buy the best when it comes to purchasing optics. It is however an investment. Your comfort and ability to view wildlife will depend on have good glass to look through. One good good optic supplier is Cabela's. This affordable optics manufacturer will fit pretty much any moose hunting supply list budget. The same could be said for Nikon, Leupold and the higher end of the Bushnell line-up. Why Buy Expensive Optics? I have told some of my hunting friends that they "will go blind" trying to look through poor optics for hours (in jest of course). Eye strain will lead to headaches and fatigue; eventually stopping you from glassing as much as you should. Swarovski and Carl Zeiss are world renown for producing clear optics and the best in quality. Binoculars, spotting scopes, rifle scopes and accessories. 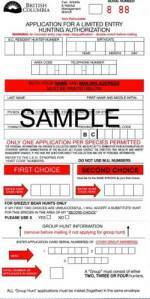 Serious hunters and professional hunters from around the world choose these! The GPS has become one of big game hunters most relied upon and trusted electronic devices in this decade. Only fifteen or so years ago the GPS's were crude and inaccurate and were seldom added to any moose hunting supplies list. Now with mapping and waypoints, computer interfaces some with digital cameras built in and more features than you can shake a stick at, the tools are most assuredly found in a big game hunters gear list. So what's the fuss about? Moose hunters can now venture out into the woods without fear of getting lost! If you have ever been turned around out in the forest, and every hill looks like the last... you know what a relief it is to get back safely. Pick your GPS, do some research, we recommend the Oregon 400 or 500 series; add one to your moose hunting supplies. I have been using one for about 5 years now without problem. You can read my review of the Garmin Oregon 450 GPS here. As a precautionary measure hunters should also carry a compass These tools, require no batteries to change and can get you out of a tight spot. As much as GPS technology has been a staple of outdoorsmen for many years now... they are useless once the batteries die, or the software malfunctions. Nothing will spoil a hunt faster than being cold and wet! I assure you an investment here in quality will pay in large dividends... and probably a large moose too! How's that? If you are comfortably dry and warm, you will stay out in the field longer. Staying out translates to seeing more big game and higher success rates! See what I mean? What do we recommend? Again I'm going to push for a little higher investment here. We are switching to Sitka Gear this season. Sitka gear in Optifade - Open Country! Why Sitka gear? They have partnered with GORE OPTIFADE concealment technology and created the "Science of Nothing" (Over 8 million soldiers wear digital camouflage). I know some of you will scoff at that, but that's ok... we are all entitled to our opinions. Read our Sitka Gear Review here. Regardless of the concealment factor, Sitka Gear is made for layering and with hunter comfort in mind. The most important factor about choosing hunting clothing is... NO COTTON! Cotton absorbs moisture and I guarantee that you will be uncomfortable. Purchase fleece or polyester products in your favorite patterns... Realtree, Mossy Oak or Optifade. You won't be comfortable unless you have a warm sleeping bag. I purchased one from Woods for this season. It is rated to minus 50... I'll write a review once I have a chance to try it out. Want to take a guess at how far that moose is standing, from where we are? I bet you will be wrong! I've seen it time and time again. Overestimating, underestimating... I have done it myself! Guess the distance wrong and you risk a miss at best and a wounded animal at worst. Rangefinders don't cost all that much and will save you and your hunting partners a lot of tracking of wounded animals. Once the game is on the ground, you have to find a way to get it out of the bush. A vehicle or ATV is nice but not always available or allowable. You then have two choices... carry it or roll it (on a bicycle or game cart). Read our game cart review. We have been using Badlands back packs for several years now and we are extremely happy with them. Personally I use the Superday backpack because we don't have to carry our moose out. 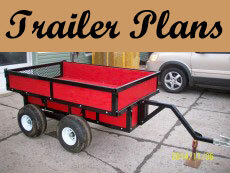 In some areas we have access to ATV's and we also use a game cart. I recommend the Badlands line of hunting packs to carry your moose hunting supplies... they make one just for your purposes. Apparently their fanny packs are Award Winning, so if you are in the market for a fanny-pack check out the Badlands Monster! See how well these backpack complement your moose hunting supplies. I use a Superday Pack made by Badlands for my day hunts. Check out their warranty program, I don’t think you will find a better one. To read more about Badlands Backpacks and why we have chosen this brand over any other please visit our Badlands Backpack page. I have come across an awesome product from Sweden, it's called Runlock made by a company named Texsolv. Runlock is a braided hunting rope that uses locks rather than conventional knots to secure it. This none jamming rope help prevent "cutting the rope!" It is a very popular rope in Sweden amongst moose hunters and is now gaining popularity here in North America. 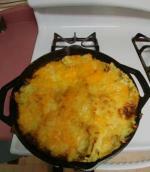 Check-it-out... you will want to add some to your moose hunting supplies. If you are using regular rope then you should learn some simple rope knots that are easy to untie. Have a look at the rope knots page and see if it helps you out. It is a good idea to carry a limb saw. These very practical tools don't take up much room in your pack and yet are indispensable for creating shooting lanes. Get one for your pack today! ATV hunters should not be going into the backwoods without a means to repair damaged tires. Some sort of a ATV Tire Repair Kit should be included in your hunting supplies list. This season we have added some Spypoint trail cameras to our list of moose hunting supplies. We feel the cameras will help us to monitor moose movements and in the end increase our success rates. In summary: I don’t think we’ll ever have a complete and final list of moose hunting supplies. With new products on the market every year, some seemingly very useful and others that you’ll try and find totally useless, your list will change from year to year. The best I can suggest is you start with what you think you’ll need and build from there. Maybe someday we’ll meet out in moose country and we can compare our complete hunting gear list. Another page of interest to you might be our Recommended Hunting Gear Page this page list an extensive list of popular gear for you to purchase. 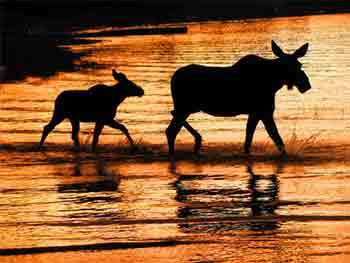 I love this picture of a cow and calf moose crossing a shallow portion of a lake at sunset. It is scenes like this that makes me want to go out and explore what our wonderful world has to offer.